1) Heat the oil in a pan, add the spring onions, garlic and chicken, and fry, stirring, for 3 minutes. Tip into the slowcooker. 2) Add the chillies, spices and coconut milk to the pan, and bring to the boil. Top over the chicken and season to taste. 3) Cover and cook on High for 2-3 Hours or low for 4-6 Hours. 4) Stir in the yoghurt, taste and re-season if necessary. 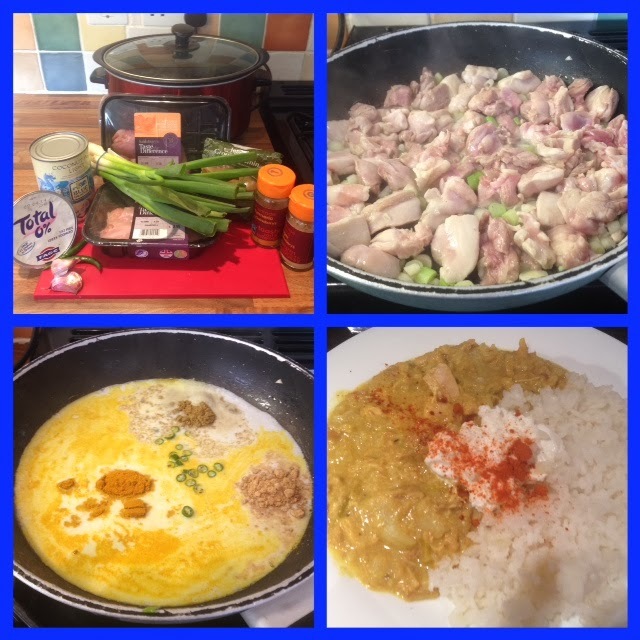 Serve over rice, with a dollop more of yoghurt and some chilli powder (optional), and coriander leaves - if you remember to buy them!!!! Just beautiful, we are off to Vietnam in August, and if I find curries like this I will be a happy bunny!